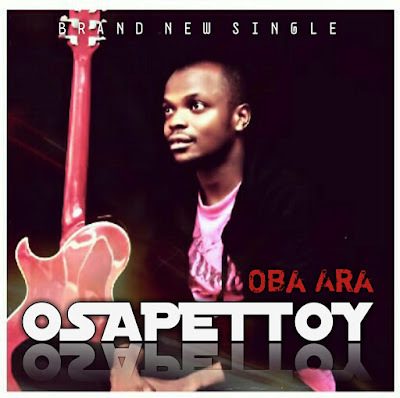 Gospel guitarist, Osapettoy releases his latest single titled “Oba Ara”. The new single was birthed with the arrival of the Gospel music minister’s daughter in late 2015. The song is a conventional worship spiced with stringed instruments, chords and accents. “This song came with my new beautiful baby that God bless my family with. The song came few months before the arrival of this Princess, everything that was said by God was fulfilled. The birth tells me that God is God indeed”. Osapettoy – fondly called the Icon of the Lord – is a singer, songwriter, music instructor and a guitarist. His music is often classified as Jazz, R&B or Gospel worship music.﻿ He was born in Tsaragi, Kwara State, Nigeria; a native of Irele, Ikole local government area in Ekiti State, South-West, Nigeria. He has released Hit songs like “1 2 3 Count”, “Ile Oluwa”, “Ogo”, “Untold Mercy”, “Mowadupe”, “Towdah” and now "Oba Ara".